After two days of chilly temps, gusting wind, and lots of rain, Britt and I were delighted to find that Sunday's weather forecast in Paris called for clear skies (although still very chilly). 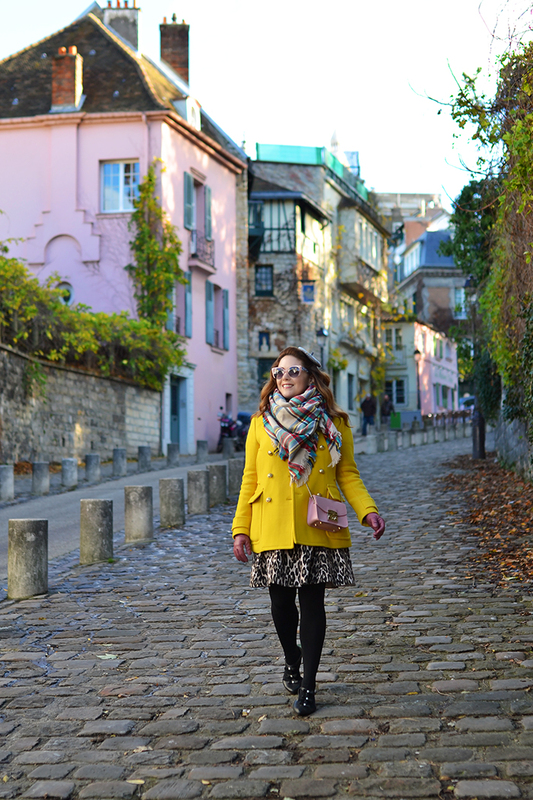 We decided to make the most of the nice weather and spend our day strolling the adorable streets of Montmartre. 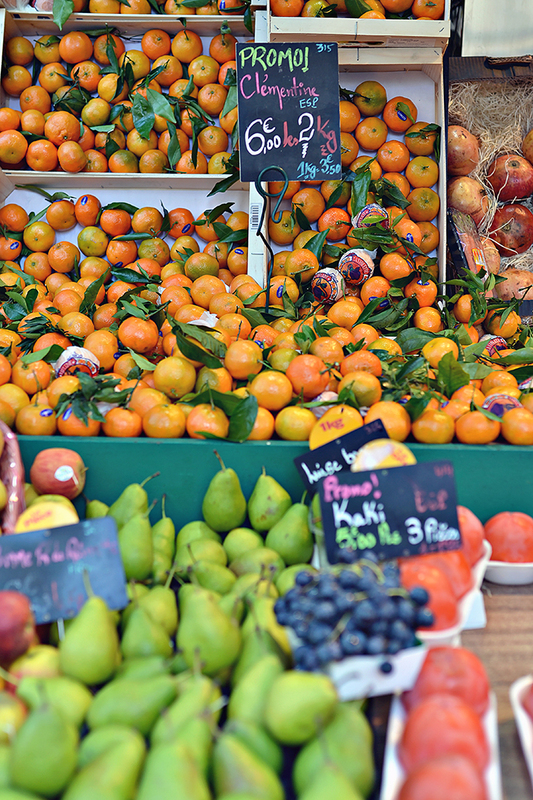 Montmartre is a district of Paris that sits on a hill north of the city's historic center. 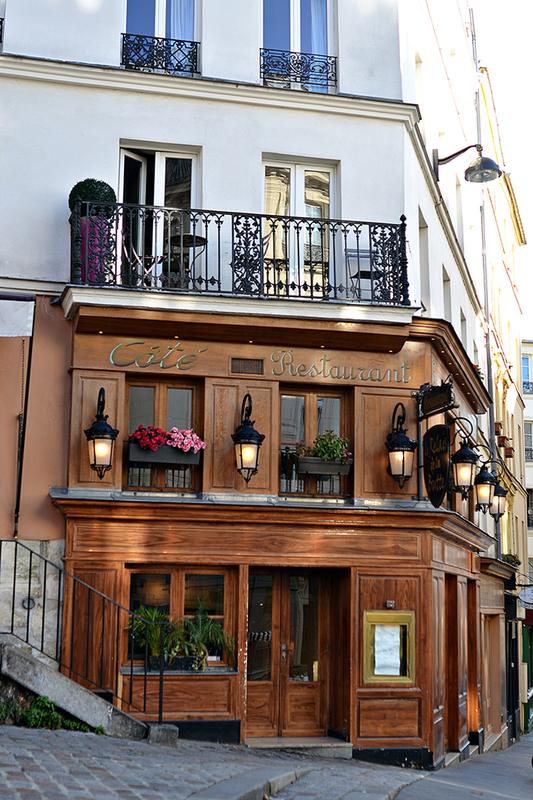 Before the eighteenth century, this area sat outside the city limits of Paris and was largely agricultural, devoted mainly to the production of wine. 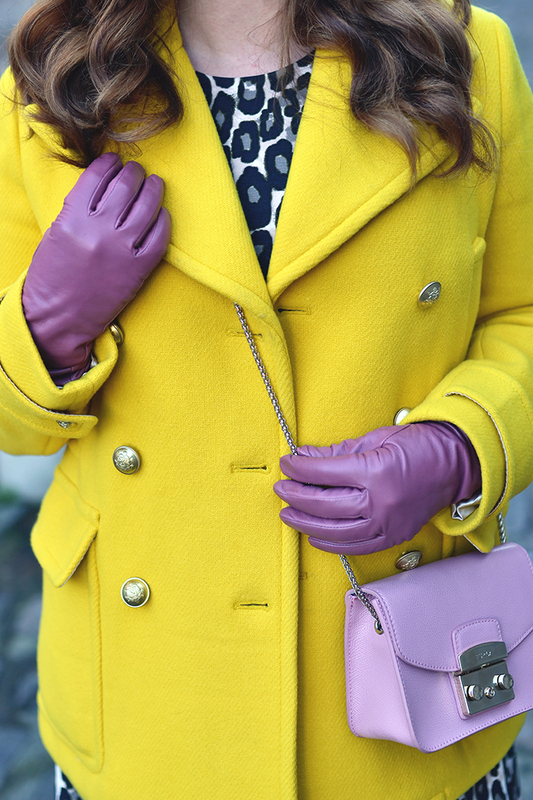 By the twentieth century, however, the area had become a hotspot for artists. The cheap wine, affordable housing, and stunning views of the city and surrounding countryside attracted the likes of Renoir, Picasso, and Van Gogh. 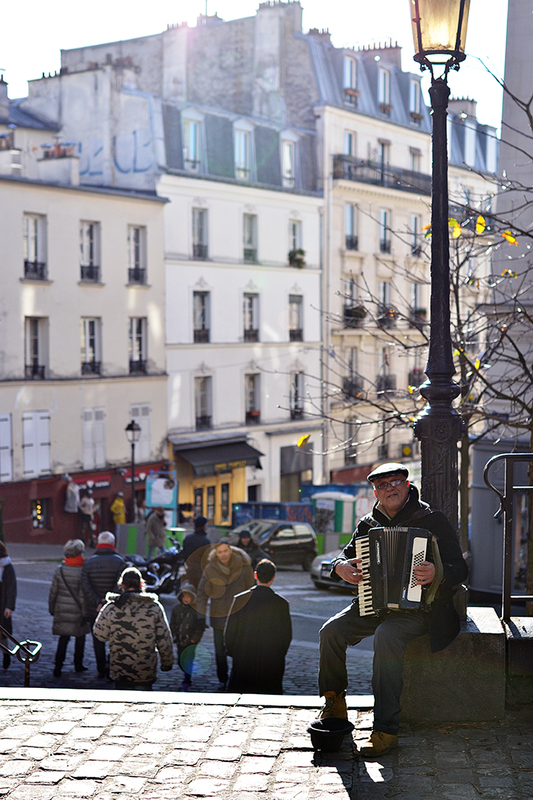 Today, Montmartre is still a trendy and lively neighborhood of Paris. Britt and I started our day with a walking tour to learn more about the history and art of the area (we love Paris-Walks). Afterwards, we visited the stunning Basilica of the Sacré Cœur before warming up with some traditional hot wine (Britt's favorite). 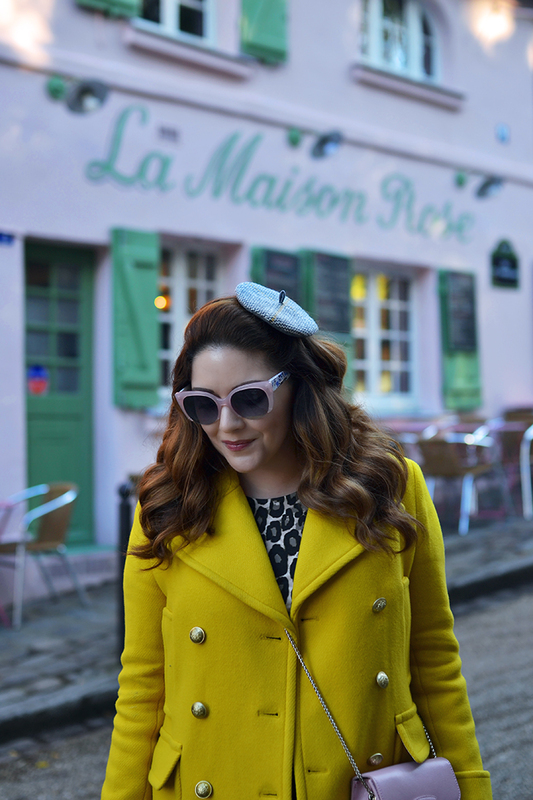 We spent the rest of our morning and early afternoon wandering all of the gorgeous little streets (check out Britt's blogger strut above) and sampling delights at the bakery that won the award for the world's best baguette in 2015 -- Le Grenier a Pain. 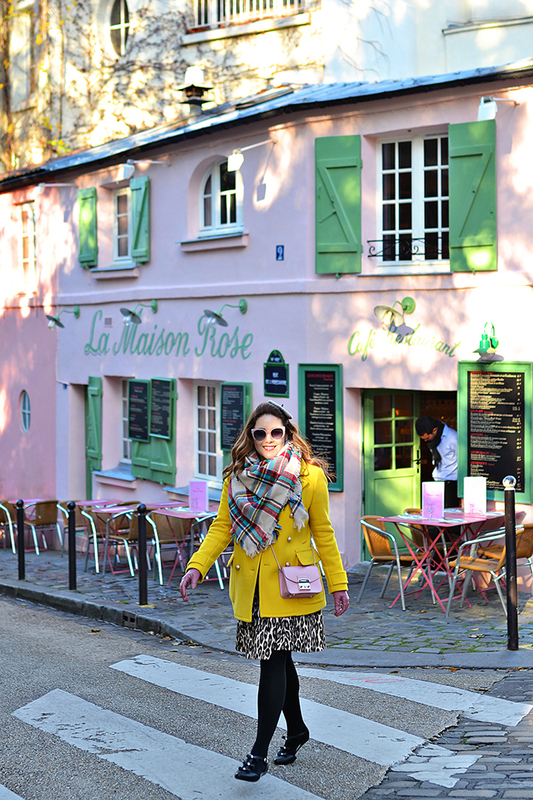 Montmartre is known for having the best baguettes and pastries... and yes, it was amazing! 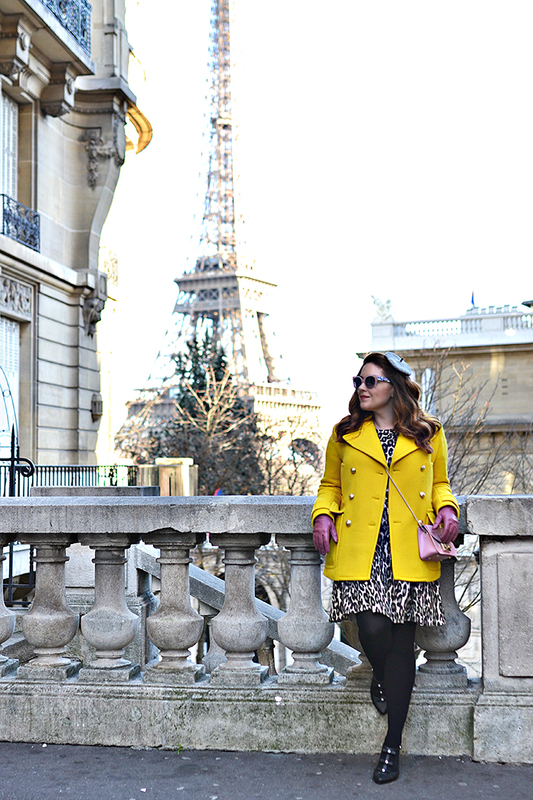 Since we were already in northern Paris, we decided to hop on the metro before sunset and head southwest to the area of Paris just across the river from the Eiffel Tower. Most people go to the green area (the Champs de Mars) that surrounds the tower to capture their pics. And while you most certainly should snap some pics of Paris's most iconic architecture from the Champs de Mars, I also like to take pictures from across the river. Two of the best places are the Trocadèro (no secret there) and the Avenue Camoëns (which is still kind of a secret). 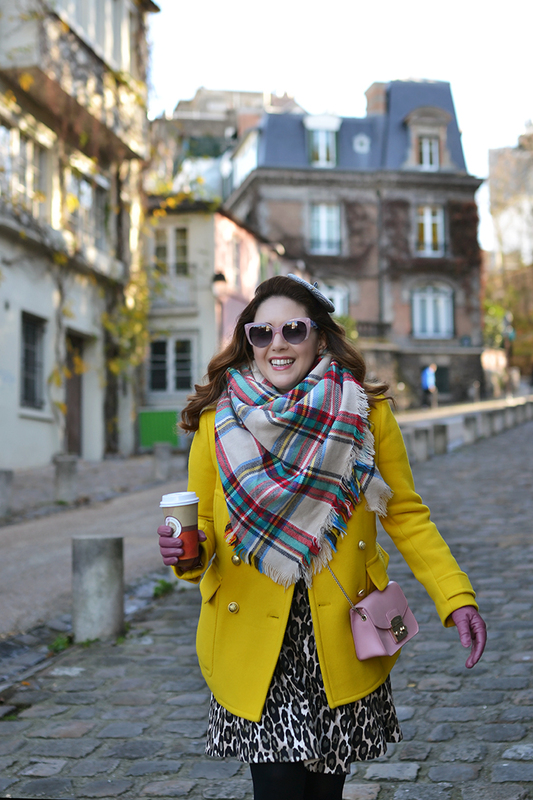 Despite the sunshine, it was still a very chilly day and I was so happy to have my yellow J.Crew wool peacoat and giant plaid blanket scarf... and what is in outfit in Paris without my all-time favorite accessory, my petite beret!